Do you like Sleepy Knight? Share it with your friends. 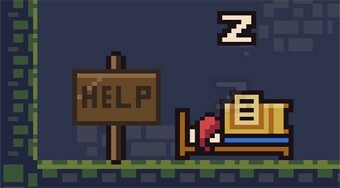 Run the bed with the sleeping knight on the ground so that the knight wakes up and open all the chests.